It's that time of year — the notorious onslaught of "meh"-worthy films vying for some last-minute Oscar attention. With the Best Picture submissions due Dec. 2 (and many smaller award deadlines in the coming weeks), it's prime time for filmmakers hoping to snag nominations to rush their work into theaters. But the new Robert Redford adaptation of Bill Bryson's memoir A Walk in the Woods has been in the works for far longer, and its entry into the Oscar running is more of a meander than a rush. As Deadline reported, Redford had initially hoped to work with Paul Newman on the film — the two had hit it off on the sets of Butch Cassidy and the Sundance Kid and The Sting and were actively hunting for a suitably awesome third picture to make together when Newman fell ill. The movie premiered earlier this year at Sundance, but it will hit theaters Labor Day weekend, causing viewers to wonder, could Robert Redford win another Oscar? As compelling, humorous, and occasionally poignant as Redford's performance is in A Walk in the Woods, it's likely not enough to earn him an Oscar nomination. He has been nominated for four Academy Awards over the course of his career, but only won once — in 1980, for directing Ordinary People. He was also awarded a Lifetime Achievement Award in 2002. 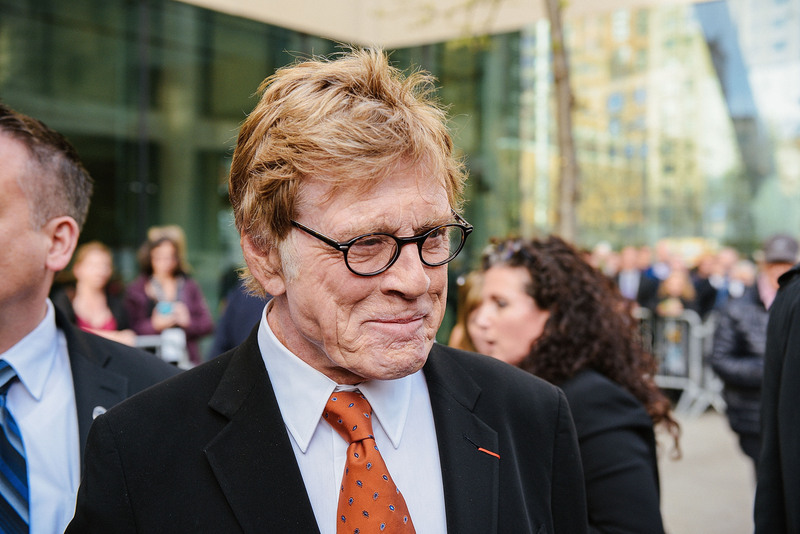 But Redford is more an industry darling than a familiar face come awards season. Further, the trend is overwhelmingly for Oscar's biggest prizes — Redford would be eligible for Best Actor — to go to more serious dramatic performances (the past three years' winners have been Eddie Redmayne for The Theory of Everything, Matthew McConaughey for Dallas Buyers Club, and Daniel Day-Lewis for Lincoln). That being said, both Nolte and Redford do have a history of a strong Oscar showing (they don't just hand out Lifetime Achievements for nothing). Nolte has been nominated, though he's never won, and Redford has been awarded two prizes over the course of his long career. It's just that A Walk in the Woods probably isn't their ticket this year. For one thing, it hasn't received the strongest critical review. The A.V. Club called it "contemptuous," noting the one-dimensionality of its female characters, and it has received just 50 percent on Rotten Tomatoes. The Academy Awards have been criticized of late for their homogeneity when it comes to gender, so it's unlikely that a film whose main flaws lie in its dominant masculinity will be destined for much success in that domain. At least, in an ideal world, the awards show's committee will work to counter that recent trend. Based on its current reception and the past Oscars trends, A Walk in the Woods faces dubious prospects at the awards this season. Still, it's a breath of fresh air amid the artsy gloom of clear Oscar-bait like By the Sea. It probably won't make the rounds early next year, but as far as Labor Day releases go, it's a great way to welcome in the fall. It's light-hearted, fun, the cast is clearly having a blast, and the women playing the few female characters take them beyond the second-tier roles they could be. Plus, it features celebrity cameos from the likes of Kristen Schaal and Nick Offerman. What's not to like?